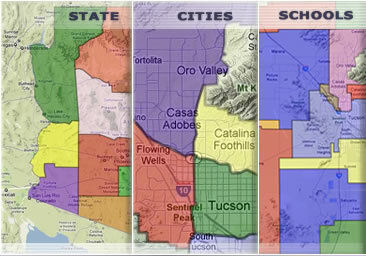 MyOwnArizona™ Commercial established the Southern Arizona office to service the growing needs of all of Southern Arizona. 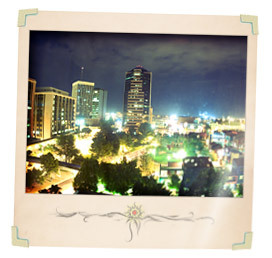 Our office offers a full range of services with professionals specializing in office, industrial, retail and investments. Whether you're a business looking to buy or lease space or an investor interested in private capital or institutional properties, you have come to the right place. Search thousands of listings online or contact one of our MyOwnArizona™ Commercial offices to assist you. MyOwnArizona™ Commercial is known for working with our clients, not just for them. As one of the most respected commercial real estate services and investment companies, we bring you strategies and insights form and integrated team of professionals located throughout Southern Arizona. Let MyOwnArizona™ Commercial integrated team of local market experts and industry specialists guide you every step of the way. Our professionals have an unparalleled expertise of local market dynamics to ensure that our clients benefit from every opportunity in the marketplace. Individual Investors: Making solid investment decisions requires diligence -- especially when the results tie directly to your personal wealth. That's why we bring together a full complement of resources, tailored to help you manage your real estate investment portfolio without worry. We analyze market research and evolving trends. Interpret that information and develop solid recommendations. Refine strategies with up-to-the-minute guidance. Help you monitor your portfolios for maximum returns. Recommend changes when conditions warrant. Institutional Investors: Challenging markets make it even more critical that you receive the best advice when it comes to your real estate assets. At MyOwnArizona™ Commercial, you have us to provide innovative solutions based on robust market analysis and on-the-ground insight you can't find anywhere else. An expansive brokerage network. Valued management services. Highly regarded investment market research. Deep relationships with some of the world's most prominent investors. Flexibility to take advantage of the right opportunities in a rapidly changing market. A strong platform that enables efficient, integrated delivery of services. Tenant and Owner Occupiers: Every business is different, but they all want their real estate decisions to contribute to the bottom line. That's where MyOwnArizona™ Commercial can help. We listen to your needs and tailor our recommendations to your specific goals. If searching for space, we can help you select the right site. Weigh the potential incentives. Negotiate the lease or sale. Build in flexibility for changing needs. Oversee the build-out. Coordinate the move. Manage the facility. When it's time to sell or relocate, we rely on our proprietary market data, experienced brokerage sales professionals and creative marketing strategies to ensure your receive the maximum value for your property, and we can help you identify a new location that meets your business goals. You will also find helpful resources and direct contact information for an MyOwnArizona™ Commercial Real Estate and Industrial Properties real estate agent who specializes in placing clients in an Commercial/Industrial community that best suits their personal and financial needs. We spend a lot of time out in the local commercial real estate and industrial properties market getting to know every in and out of each area and the commercial real estate and industrial properties market in general. 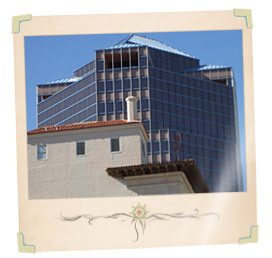 Contact us at: info@MyOwnArizona.com for Tucson & Arizona commercial real estate and industrial properties market.